Editor's note: I just sold the tickets. But keep reading. 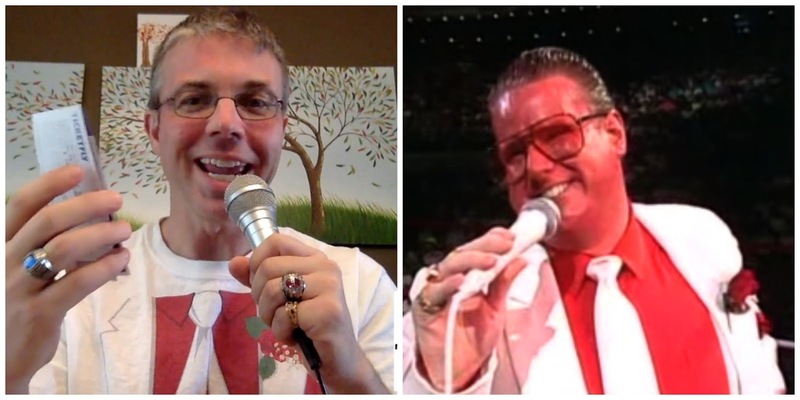 I've talked plenty before here and on the My 1-2-3 Cents Podcast about my deep respect and admiration for the hosts of the Something to Wrestle with Bruce Prichard podcast. 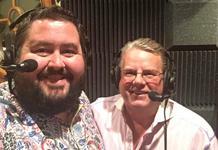 Several months ago, Bruce and co-host Conrad Thompson announced plans to do a live version of the show in Orlando the night before WrestleMania 33. I waited to buy tickets to make sure Chad and I were for sure going to go Mania. We decided late in the game that we would make our nearly annual trek. Before we had the tickets for the big show, I secured two seats for the live podcast as they were selling out fast. Then my luck at home started to crumble. In the span of 16 hours my family was hit with two bigly (yes I said it) expenses. Both were unexpected and topped the $3,000 mark. Then after chatting with Chad and our lack of interest in the current rumored WrestleMania card, we decided to skip Mania this year. I'm not going to lie, I was really looking forward to going and I was more stoked about the Something to Wrestle With show. However, adulting is hard and being a responsible husband and father trumps being a die-hard wrestling fan, blogger and podcaster. So I contacted Bruce and Conrad and let them know I'd be putting my tickets to the now sold-out show up for sale. I didn't want them to think I was trying to capitalize or profit on the success of their hard work. The above video is my attempt to attract attention to the sale. (My hair it too short to slick back and my red makeup attempt pales in comparison to the real deal.) I'm just asking for the face value and the fees I paid. I believe the total is in the neighborhood of $75. If you're interested let me know and I am already making plans to be at the live podcast in New Orleans next year.